We facilitate our clients with a unique range of CNC routers with the Rotary Carving having diameter of 200– 400mm and length of 2000mm- 3000mm. 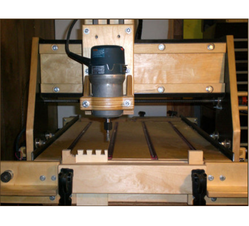 Controlled by offline DSP with the stepper or servo based motors, these products are widely used for rotary carving of wood material. We are Leading Supplier, Distributor, Trader & Dealer of Door Carving Machine in Chennai, Tamilnadu & South India. 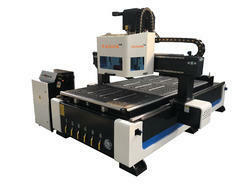 We ensure delivery of Door Carving Machine from our different production units to satisfy the needs of the customers.